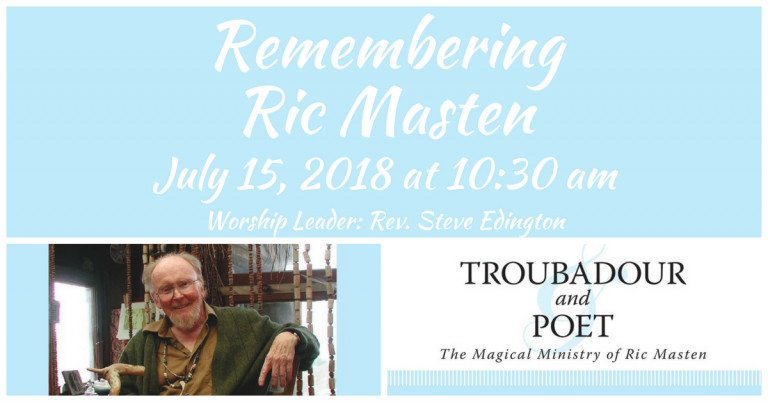 Ric Masten passed away ten years ago in May of 2008. A few months before his death Rev. Steve Edington and Ric got out a book they’d collaborated on about Ric’s unique ministry within our UU movement titled “Troubadour and Poet–The Magical Ministry of Ric Masten.” Steve will return to the UUCPA to share his thoughts on the continuing significance of Ric’s ministry for us ten years after his passing.